He explains they’ll be keeping track of how many of each seed species they put into the mix so they’ll be able to see how various mixes work over time. 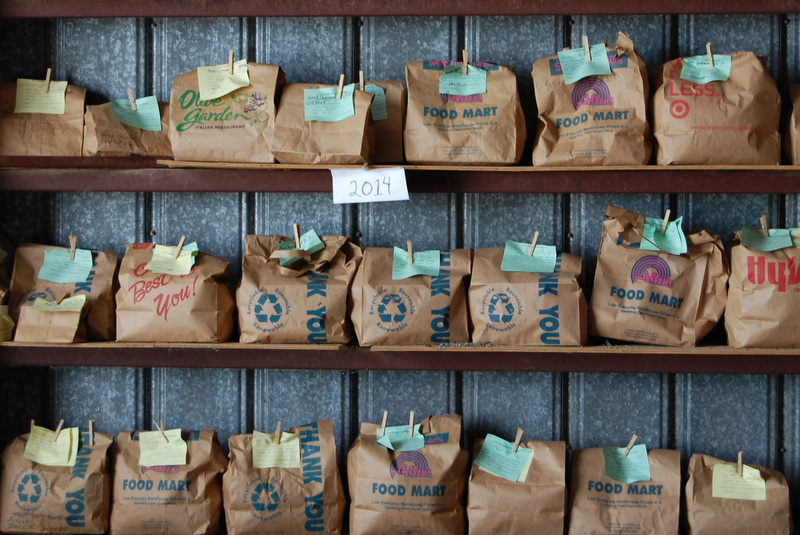 “We’ll start with the mixes we made from last year that we didn’t use all of,” he said, standing in front of a wall of brown paper grocery bags filled with seeds the group gathered by hand and with machines in summer and fall. 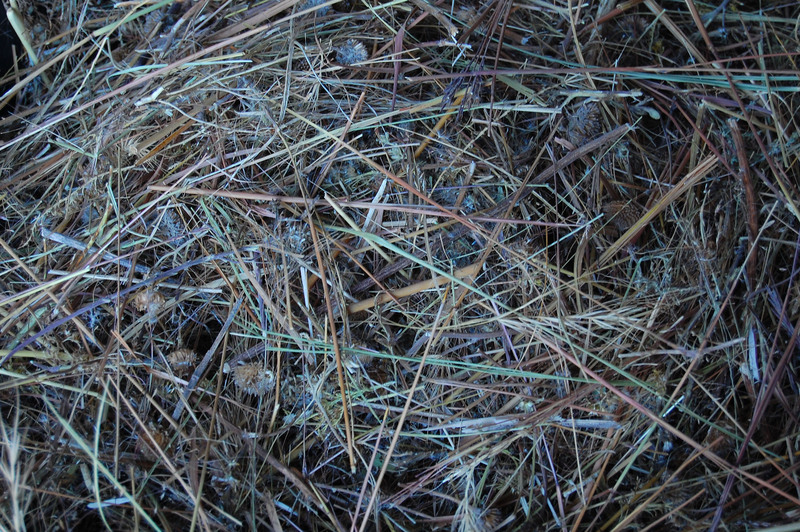 “And then we’ll add this year’s stuff to it, we’ll stir it all up and then this afternoon we’ll go dump some of it on the ground and make good prairie,” said Helzer, TNC’s eastern Nebraska program director. 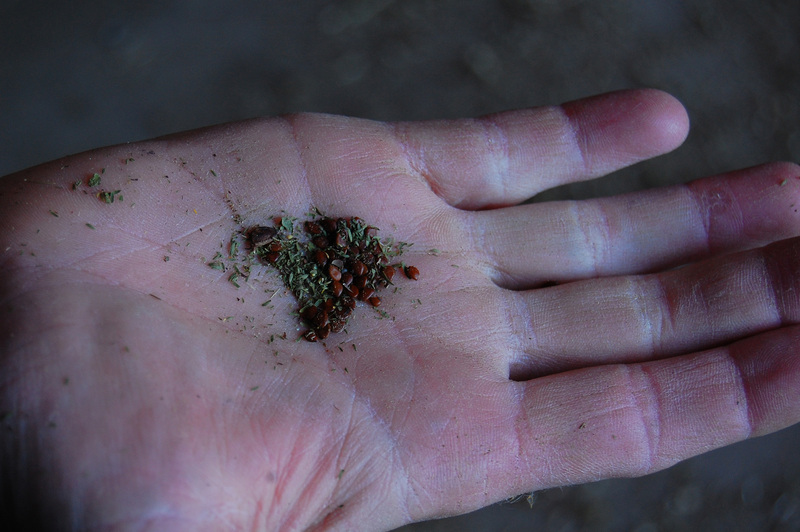 Quickly folks get to work, relaying names and amounts to Helzer, who records them, before they dump the seeds onto a growing pile on the cement floor. Soon it becomes a prairie litany: Goldenrod. Sunflower. Black-eyed Susan. Roses. Rosinweed. Nebraska used to be a sea of grass. After two centuries of heavy human development, a mere fraction of original prairie along the central Platte is left. “Along the Platte River, because of the really good irrigated soil for agriculture, we’ve lost a lot of the grasslands that used to be here,” Helzer said. The Nature Conservancy owns about 2500 acres between Grand Island and Kearney. More than half is former cropland they’ve restored to high diversity prairie containing more than 200 plant species. 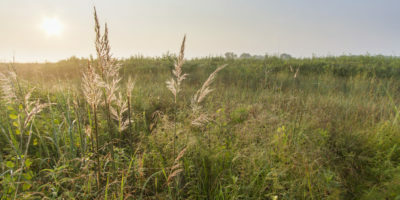 The rest, including what they’re planting today, is what Helzer calls “remnant prairie,” native prairie that has been used for pasture and, as a result, lost a lot of native plant species. “Kind of a combination of chronic overgrazing and a lot of broadcast herbicide use,” Helzer said. “And so this is a way to bump up that plant diversity,” an important factor in habitat quality. Helzer, a trained ecologist, focuses much of his work on creating healthy grasslands. “Because they have a really diverse mixture of plants and invertebrates, they provide sort of the background functioning that everything else relies on, whether that’s pollination, seed dispersal, soil microbe activity, all of those things,” Helzer said. And that chain of support makes the ecosystem more resilient. Helzer said supporting grassland species—from plants to butterflies to birds—requires enough habitat to allow for robust populations. 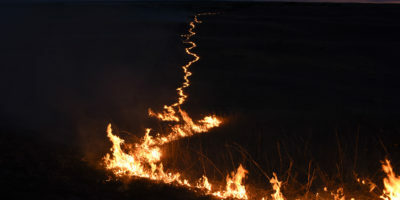 “So a lot of the work that we’re doing is aimed at trying to maximize the space that we have, trying to take small isolated patches of grasslands and make them bigger and more connected by doing restoration in the gaps in-between,” Helzer said. By now the seed pile is waist-high. The air fills with clouds of dust and pollen as staff and volunteers use shovels to mix the pile and load the seed mix into big 30-gallon drums. 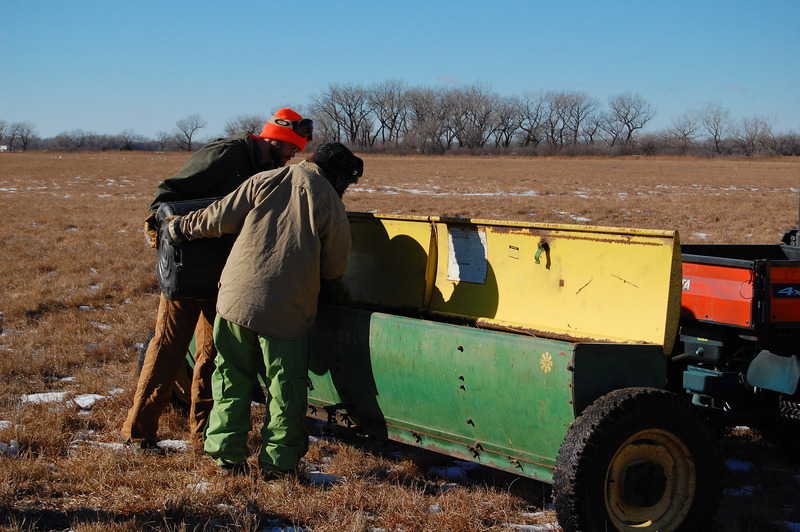 After lunch, the team hauls them out to a field and fills a seed-spreader attached to an ATV. 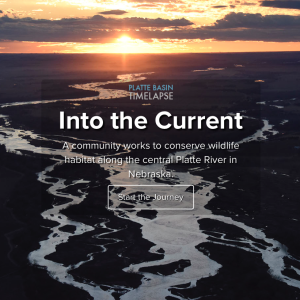 The Nature Conservancy is one of several conservation groups working to restore and create habitat for endangered species and other plants and animals along the central Platte River. Like other conservation groups, the Nature Conservancy also uses prescribed burns and grazing to manage habitat and improve ecosystem health. Helzer has been part of the Platte River conservation community for close to 20 years, and said he’s seen a lot of progress. There’s more restored habitat: grasslands, wetlands, wooded areas, open river sandbars. One strength of this conservation coalition is each group has a different, but connected, focus, Helzer said. “The two things that the Conservancy really focuses on in Nebraska right now is grasslands and rivers. Sandhill cranes need grasslands for the feeding and loafing that they do while they’re here, grassland birds that are a priority for Audubon and Crane Trust use grasslands that we have,” Helzer said. As the last of the seeds drop to the ground, the day’s activity winds down. But Helzer said there’s no end to the work. Dahms/Derr Restoration: From 2011 to Today - In 2012, the stream was regraded and reshaped; the surrounding area was seeded with a mixture of native prairie grasses and forbs.